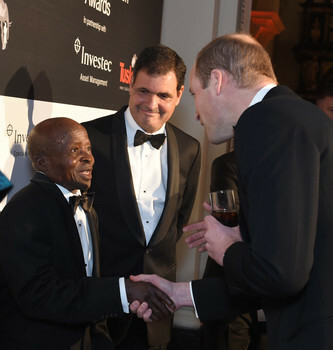 Last week, Pedro Vaz Pinto, the Angolan biologist behind giant sable conservation in Angola, brought Manuel Sacaia to London to receive the Tusk Ranger Award at an event presided over by the Duke of Cambridge and David Attenborough. Sacaia, the elder member of a team of “sable shepherds” who now guard the country’s endangered antelope, has been shot at by poachers and had his leg caught in a mantrap, but continues his work undeterred. He was born on the border of the Luando Reserve, the historic habitat of the animal, and has spent decades looking after the palanca negra gigante. This short YouTube video captures his modesty and his passion for conservation. 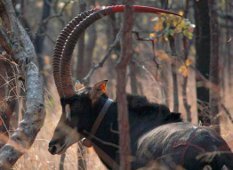 The magnificent giant sable antelope, a critically endangered sable subspecies that happens to be the national animal of Angola, needs all the help it can get to survive. Only about a hundred of these creatures are left. Diamond mining in its long-isolated habitat could be the death-knell for this walking emblem. 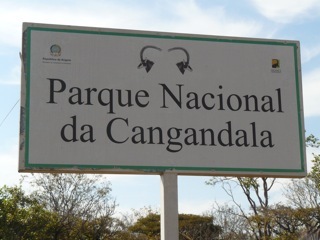 Angolan biologist Pedro Vaz Pinto, who has rescued a small number of the animals for a captive breeding program nearby, says he’s encouraged by Endiama’s response, but warns that “a concession in that location must be blocked,” as it would result in roads, bridges, and camps being built in what is now undisturbed giant sable habitat. Click here for a link to this story. 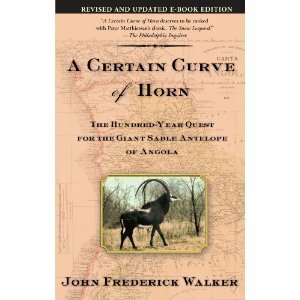 “In A Certain Curve of Horn, John Frederick Walker tells the story of one of the most revered and endangered of the regal beasts of Africa: the giant sable antelope of Angola, a majestic, coal-black quadruped with breathtaking curved horns over five feet long. As he follows the trail of this mysterious animal, Walker interweaves the stories of the adventurers, scientists, and warriors who have come under the thrall of the beast, and how their actions would would shape the fate of the giant sable antelope and the history of the war-torn nation that is its only home. First published in 2002, Walker’s account of his quest for Angola’s legendary animal was called ‘riveting,’ ‘fascinating,’ and ‘compelling’ by reviewers, who compared it to Peter Matthiessen’s classic, The Snow Leopard. A Certain Curve of Horn (Revised & Updated E-book Edition) is available for purchase at Amazon, B&N, Apple, and Kobo. The latest issue of SWARA, the quarterly journal of the East African Wild Life Society, includes my latest piece on the rescue of the giant sable antelope, the national animal of Angola. You can read the article here: GiantSable.Swara. Part II of my two-part series, “Antelope from the Ashes” has just come out in the July issue of Africa Geographic. 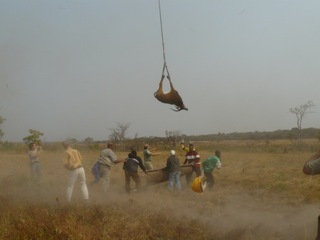 Click here to read the final installment of my account of the dramatic rescue of Africa’s most spectacular antelope, Angola’s giant sable. 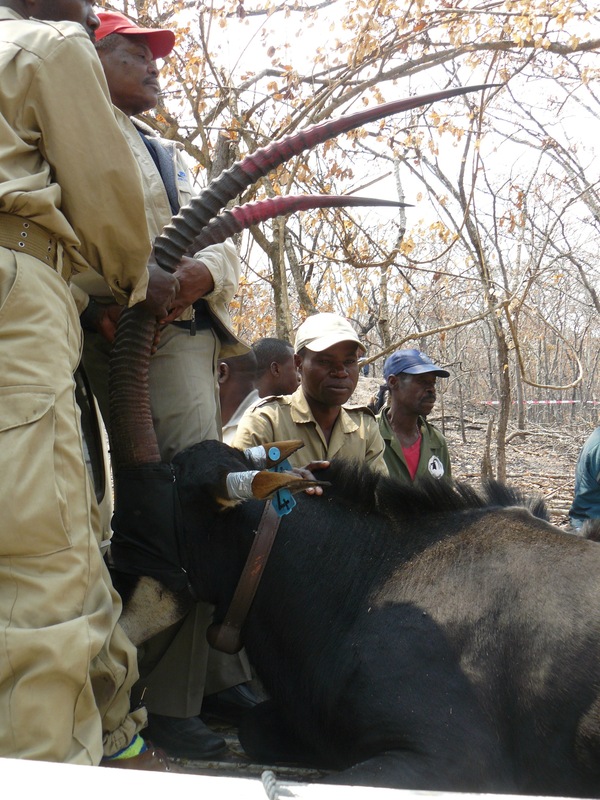 Those who follow developments in African wildlife conservation may have read about the recent successful rescue of Angola’s national animal, the magnificent giant sable. I was the only journalist on the August, 2009 expedition, a last-ditch effort to pull this iconic animal back from extinction. Click GIANT.SABLES.1 to read part I of my two-part series, “Antelope from the Ashes.” It’s just come out in the June issue of Africa Geographic. Part II will appear in the July issue and will be posted here.